As a couponer you probably already know about saving money at the grocery store. Cheap sour cream, butter, crackers, etc. But have you really gotten into saving at drug stores? There is a whole LOAD of money to be saved there that some may not have attempted because of the confusing reward programs. But I am here today to tell you- don’t be scared! They may seem complicated and take a little time, but you can get some major deals and lots of freebies if you play your cards right! For the longest time I avoided every looking at the CVS, Walgreens, and Rite Aid ads because of the promised “rewards” that each had. To me it seemed gimmicky and unlikely that I would actually save anything in the end. I’d like to break down each of the common drug stores for you to help you understand and not be so fearful to use their rewards programs to your advantage! Let first start off with Walgreens. Walgreens often called “Wags” is a great place to earn rewards that will save you some cash. 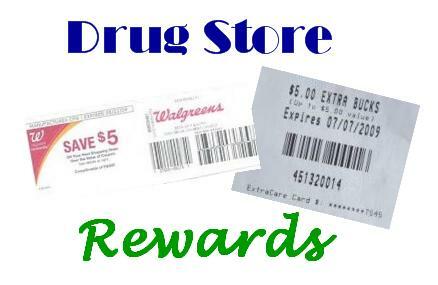 Walgreens offers a reward system called Register Rewards. They are often referred to as “RRs”. Earning them is easy- just purchase the item specified and you’ll receive the amount of Register Rewards specified. They come in the form of catalina coupon that print out with your receipt AFTER your purchase. If you use a RR on a deal and then try to “roll” that RR into another of the same deal, you will NOT receive a RR. The best way to do the same deal with RRs is to use the ones you earned to do another deal, then use THAT RR on that first deal again. You cannot use more manufacturer’s coupons (including RRs) than items. For example: You cannot buy 2 deodorants and use 2 manufacturer’s coupon then use 1 RR. The RR would be considered a 3rd manufacturer’s coupon. You can however, use 2 manufacturer’s coupons and a Walgreens coupon. The Wags coupons do not count towards your total amount of coupons used. You can also throw in filler items to count towards your total items. This will allow you to use the RR. RRs cannot be used on certain items- ex. tobacco alcohol etc. Read your fine print. Its best to hand the cashier your normal manufacturer’s coupons first, then store coupons. The other way around will cause the register to beep. Register Rewards expire 2 weeks from the date they print, so you’ll want to make sure to use them fairly quickly. Your purchase must be equal to or MORE than your RR in order to use it. Stop by and view this week’s Walgreens Deals! Next, let talk about CVS. The required amount to earn ECBs is calculated before all coupons. They can be used just like cash. Every quarter you will receive 2% of you in-store and online purchases back in the form of ECBs. Unlike RRs, your purchase can be less than your total, however you will lose whatever you didn’t spend. ECBs expire 4 weeks from the day they were printed. ECBs are connected to your ExtraCare Card, so you are the only person who can use your ECBs. ECBs are not considered manufacturer’s or store coupons, but considered payment so you can use as many as you’d like. Lastly, we have Rite Aid. Rite Aid is in a league of its own. Its rewards come in the form of Single Rebate Checks. Otherwise known as SCRs. Rite Aid offers rebates on certain items. In their ad, it will state if there is a rebate available. You CAN use coupons on an item that you will receive a rebate for. Each month there is a new list of rebates- you can find them HERE or in the in-store booklet. You’ll also need to sign up HERE. What you will need to submit for your rebate check is your receipt- DO NOT LOSE THIS. Once a month, you can request a big rebate check for all the items that you purchased that month. It may take little while for your receipts to process so be prepared to wait a few days. And the check that you receive can be used anywhere unlike the other drug store reward programs. I hope that this will help you understand the drug stores a little more. They are little more involved and take some time to prepare for, but they will get you amazing deals and perhaps profits more often than not. Stay tuned each week for the matchups and I will further help you save money at the drug stores! About this Author Amy Edmiston is frugal mom of a feisty 3 year old who keeps her on her toes. She currently lives in Nashville, TN. Growing up knowing the value of a dollar, she’s blossomed into a coupon queen that has fun saving money. 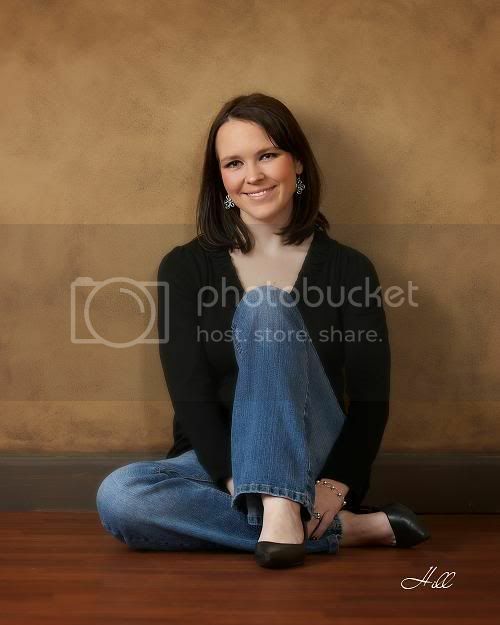 She launched her blog Saving with Amy to share her passion of saving money with other moms through coupons, fabulous deals and steals, freebies and more. Amy is a fitness advocate who believes exercise is key to a healthy life. She is also strong in her faith and volunteers at her church with the preschool children. You’ll often find her in the grocery store gabbing about what’s on sale and how to get it free. Being frugal has always been a way of life for Amy and she hopes to help others learn to stretch every dollar they have. After a year of couponing I feel like I finally understand the drug store games. I just did a post yesterday about my first really successful CVS trip where I got Pampers Cruisers diapers… 1 pack for FREE and another for $2 after ECBs. You can find it here http://blessingsabundant.blogspot.com/2010/04/my-first-really-successful-cvs-shop.html. CVS and Walgreens can really save you big once you figure it out! Thanks for the great tips! I have never understood the drug store discount programs. Thank you for the explanations. This makes sense. I'm just getting started in this coupon game, and am trying to get my wife hooked too. Buying her a new Venus razor kit for 99 cents did help. I would just like to add that Rite Aid has another part of its Rewards program now- They have a Wellness Card that you have to sign up for and you can ear UP Plus Rewards on certain items like RRs and ECBs. They can be used as cash payment like ECBs but cannot be used on tax.